Kids Count was established to facilitate safe contact between children and their non-residential parents. We believe children thrive best in a situation that allows them to have positive relationships with both parents without parental conflict in a consistent setting. Kids Count is a supervised visitation and child exchange center. For many children, visitation with the non-residential parent can be extremely stressful if the parents cannot set aside their personal differences for the sake of the child. Kids Count programs are designed to alleviate this stress from the children, as well as the parents, in a structured, non-biased, supervised setting. 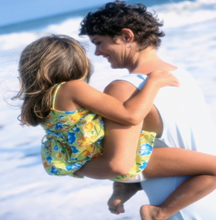 Kids Count offers a neutral, safe, and comfortable place for custody exchange. Because the program promotes visits among children and their families in a safe environment, noncustodial and custodial parents have different entrances into the Kids Count center. Kids Count offers a variety of services to assist in promoting the child/parent relationship. Monitored Exchanges - Providing a safe and neutral environment for children to be exchanged between parents without parents coming in contact with each other. On-Site Supervised Visits - Providing a safe and neutral environment for children to visit with their non-residential parent in a supervised setting. Off-Site Supervised Visits - Providing supervision for the visit between the non-residential parent and the child. This is designed to foster the relationship between the parent and the child by allowing them to participate together in activities, such as going to the park, out to dinner, or a sporting event.